Oak studded hills, acres of open space and miles of hiking trails are some of the draws of this bucolic Peninsula Town located west of Hwy 280 and just south of the Town of Woodside. The Town, incorporated in 1964, is committed to preserving the rural character of the area once home to logging, farming and ranching. A newly constructed Town Center awarded by the US Green Building Council for its commitment to going “Green”, opened in September 2008. The community generously supports a School Foundation and Open Space Fund and maintains miles of trails for outdoor enthusiasts. Residents love the natural beauty and quiet of this special community. 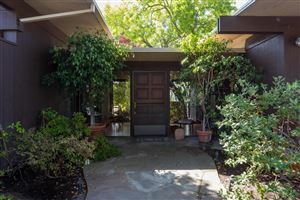 Centrally located on the Peninsula, Portola Valley is close to Hwy 280 with easy access to San Jose or San Francisco.